Carrot is a fruit also you can say vegetables, so today we are going to share the recipe of how to cook carrot top pesto in easy way. 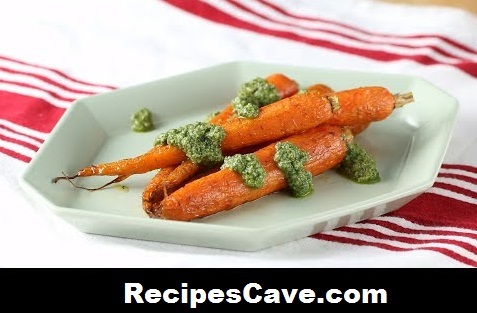 Here is what you'll need to cook Carrot Top Pesto Recipe. We are going to see how it works too. Trim carrot tops and set aside. Using the back of a knife, gently peel the carrot skin. In a pan, coat the carrots with olive oil and season with salt and pepper. Roast in the oven for 20-30 minutes or until tender. In the bowl of a food processor, add all the pesto ingredients and pulse until smooth. Serve roasted carrots with pesto. Pesto can also be used for pasta, caprese and more! Refrigerate for up to 4 days. your Carrot Top Pesto Recipe is ready to taste.